Covenants are essential to the biblical story as God relates to the creation, chooses a people, establishes law for the nation of Israel, promises a Messiah, and in Jesus Christ enacts a new covenant. The Christian church then becomes part of God's covenant people. 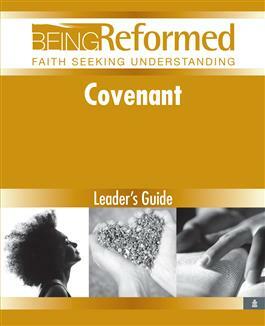 Dr. Brown's study enhances our understanding of the covenant theme in the Bible. Through focuses on the covenants established with Noah and Creation; Abraham; Moses; David; and in Jesus Christ, we find the various ways God has related to the people of God through the biblical story. A final session on Israel, the Church, and Covenant helps us reflect on the Christian church's relationship to the God who established covenants through the history of Israel.